Stephanie Borm-Krueger was born in 1975 in Munich, and has pursued an education in pedagogy and teaching since graduating from high school. She earned a degree as a teacher at the Munich LMU University and has taught at schools in Munich and San Francisco. She began her vocal studies in 1997 with various teachers in Munich. Since then she has been performing as a singer in several Jazz bands, A cappella ensembles, as well as Pop and Rock bands in Germany and the USA. From 2000 – 2013 Stephanie has been studying the Speech Level Singing method and was a certified SLS instructor (Level 5), as well as a Master Teacher until 2013, teaching one-on-one lessons, along with group classes and workshops about “Vocal Technique“ and “Vocal technique and performance“ all over Germany and in San Francisco. Stephanie is a very passionate voice teacher. After living and teaching in San Francisco for eight years she relocated to her roots in Germany about one and a half years ago. She is in the process of expanding her vocal studio in Munich while teaching throughout Germany, as well as worldwide. It is Stephanie’s mission to familiarize singers of all levels and styles with the best vocal technique possible and to support them in developing their full vocal potential. 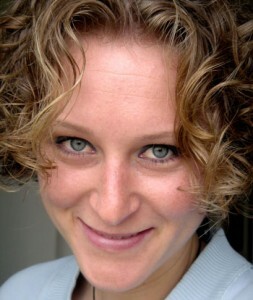 Stephanie Borm-Krueger is a respected authority in the field of vocal training. She has been a vocal coach for the TV show “The Voice of Germany“ since its first season. She has also been a jury member at the West Coast Songwriter’s Competitions in San Francisco several times. Amongst Stephanie’s clients you’ll find professional and internationally renowned singers, actors, lecturers, speech therapists and voice teachers. Stephanie is very excited to function as a Founding Member of IVA and Director of Teacher Recruitment.